On November 5, 2015, more than 150 members of The Greater Sarasota Chamber of Commerce and the Manatee Chamber of Commerce exhibited their products and services at Chamber Expo, the largest business after hours event in the area. More than 1,000 attendees from all over the Sarasota-Bradenton area filled the Bradenton Area Convention Center for the power packed event. Attendees enjoyed great networking, delicious food samples and tested their luck for a grand raffle prize trip to Panama City, Panama from Panama Travel Consultants. The lucky winner for this amazing 4 night / 5 day vacation was a representative from Hair Cuttery. Enjoy your vacation, we can’t to hear about it! Attendees were greeted with some “pepped” up energy from the Manatee High School drum line and were later treated to a traditional dance performance by Polynesian dancers. The fun continued all evening with music from Party Pro DJ’s and photo booths from Complete Weddings + Events and TapSnap. Exhibitors and attendees shared the fun on their social media accounts by using the hashtag #ChamberExpo. Two winners were selected from all of the Facebook, Instagram and Twitter posts with the hashtag to win a prize. Congratulations to Hanna Perssons with the Manatee Performing Arts Center for winning the Manatee Chamber prize of a $500 gift card to Clear Sunset Car Wash & Detail Center and Vittorio Bartolini with Your Trainers Group USA for winning the Sarasota Chamber prize of a $500 travel card from International Monetary Systems. 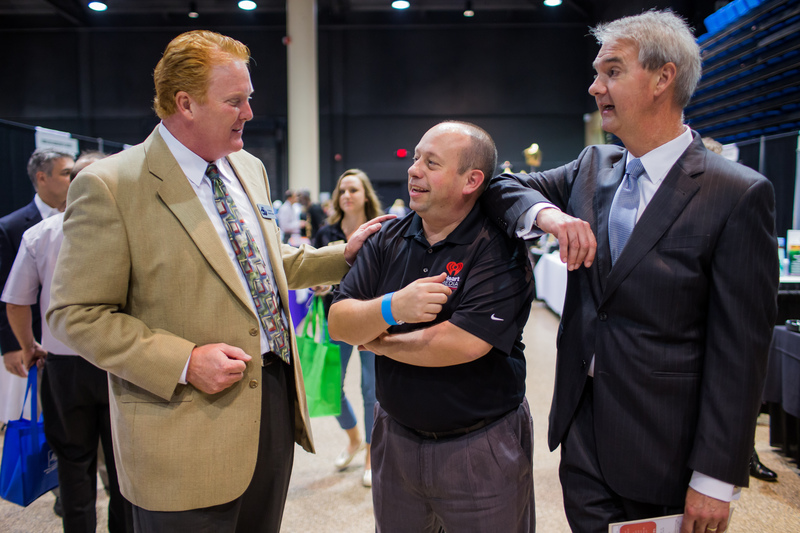 The 2015 Chamber Expo was presented by Sam’s Club. Other sponsors included, Bradenton Herald, Colonial Life, Cox Chevrolet, Bank of England/ENG Lending, Express Employment Professionals, Flowers Baking Co. of Bradenton, LLC, Herald-Tribune Media Group, iHeart Media Sarasota and Turner Tree & Landscape. Click here for the full photo album to see who we saw at the event! Next Post Meet Our Members – Kerkering, Barberio & Co.